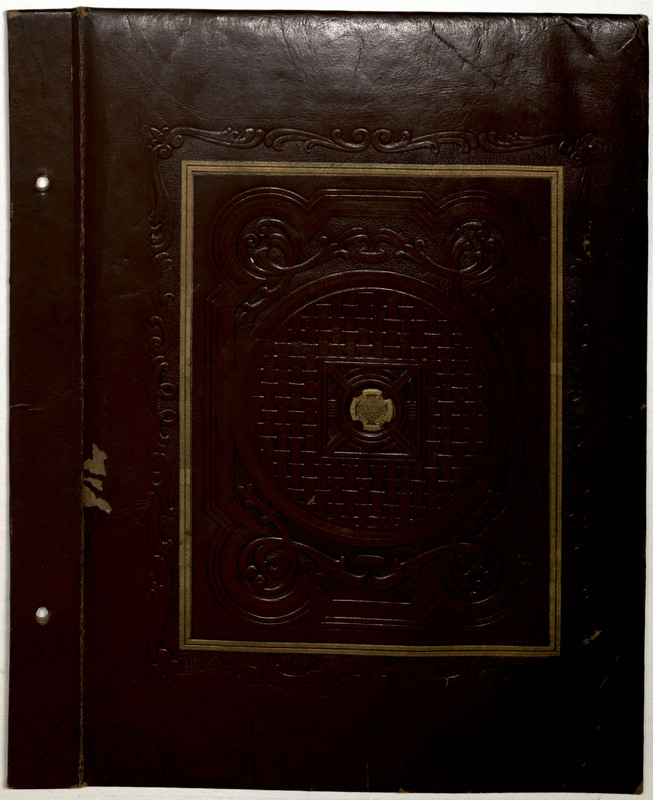 Front cover, brown leather, gold framing, stamped design with gold cross type centered piece. 2 screw closures to hold together. minor wear and tear.